Choosing a baby name from Netflix is apparently easier than finding a show on it. BabyCenter has revealed its Top 100 Baby Names of 2014 list, and some of the most popular names have roots in Netflix shows like Orange Is the New Black and House of Cards. The list is based on 400,000 baby names registered on the parenting website. Sophia and Jackson continue to hold their dominance for top girl and boy names, respectively. But names like Zoe and Piper, which didn&apos;t crack the top 10 but was up 28% from last year, can be traced back to OITNB and House of Cards, proving that TV isn&apos;t dead — and perhaps we watch too much of it. The influence was apparent with several more names, reported BabyCenter. House of Cards names with clear increases included Garrett (up 16%), Claire (up 14%), Zoe (up 13%) and Remy (up 11%). Both Frank (up 19%) and Francis (up 5%) jumped in popularity,. Interestingly, in addition to Robin Wright&apos;s character&apos;s name (Claire), both Robin (up 12% from 2013) and Wright (up 65%) saw significant gains. 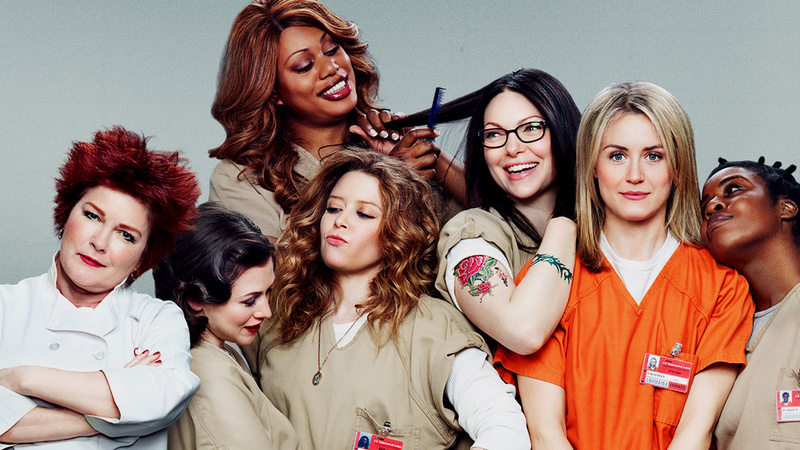 Characters from OITNB saw the biggest boost: Galina (aka Red) shot up 67%, Nicky (played by Natasha Lyonne) rose 35% and the Taylor Schilling&apos;s Piper spiked 28%. The overwhelming trend itself now has a name, coined by BabyCenter: the Netflix effect. "This is the year of the binge-watching baby name," editor Linda Murray told Today. When looking for inspiration for the names, 20% of moms admitted they didn&apos;t look further than their on-screen guide and said they were inspired by TV characters. There were also clear pop culture influences not from Netflix, including Olivia from Scandal (already a popular baby name since before the show debuted) and Liam, likely popularized by the actors Neeson and/or Hemsworth. And parents being influenced by names in pop culture isn&apos;t a new thing we can blame on streaming TV. In 2012, the fastest rising name was Arya, based off a Game of Thrones character; and the trend for Bella and its less obvious sister, Isabella, have been linked back to Twilight. Even Disney movies inspired name trends, including Tiana, Merida, Mulan and Ariel. BabyCenter&apos;s list is by no means an official tally of America&apos;s baby names — that&apos;s taken by Social Security and released to much fanfare every spring. But BabyCenter&apos;s lists match up closely with the government&apos;s, which means the influence of pop culture can&apos;t be ignored. Of course, not all name trends are based on TV. Certain names continually reign because of their Biblical or traditional influences. Others, including several on this year&apos;s list, are seeing a resurgence in what appears to be a reliable cycle over the course of generations. Although we can&apos;t be certain that early 2000s spike for Noah isn&apos;t due to Ryan Gosling&apos;s character in the Notebook. Either way, we don&apos;t expect the "Netflix effect" (and other TV networks) trend to slow down when the government&apos;s list comes out in the spring. We&apos;ll be a little shocked if names from the Voice&apos;s judging panel (fingers crossed for lots of Pharrells) aren&apos;t included.